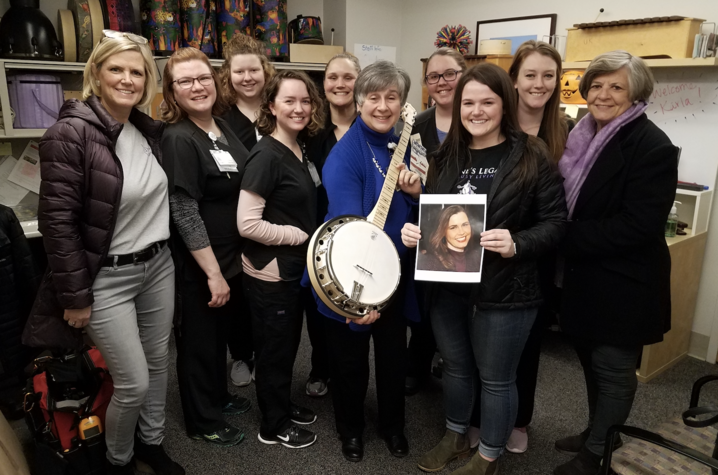 LEXINGTON, Ky. (April 8, 2019) – During her time as a patient at the University of Kentucky Markey Cancer Center, Daphne Scruggs Fields found joy through music therapy. Now, a generous gift in her honor ensures that legacy will continue. A young wife and mother of two from Frankfort, Ky., Daphne was diagnosed with triple negative breast cancer, a particularly aggressive and difficult-to-treat type of breast cancer that often affects younger women. During her time at Markey, Daphne discovered the Creative Arts Therapy program at UK. With a presence on UK’s campus beginning in 2011, the Creative Arts program offers both music and art therapy for patients. Music therapy uses evidence-based musical interactions to address non-musical goals. Through the program, any physician can request this type of therapy for a patient. That may take many different forms, from singing and playing instruments to writing songs and engaging in musical movement. 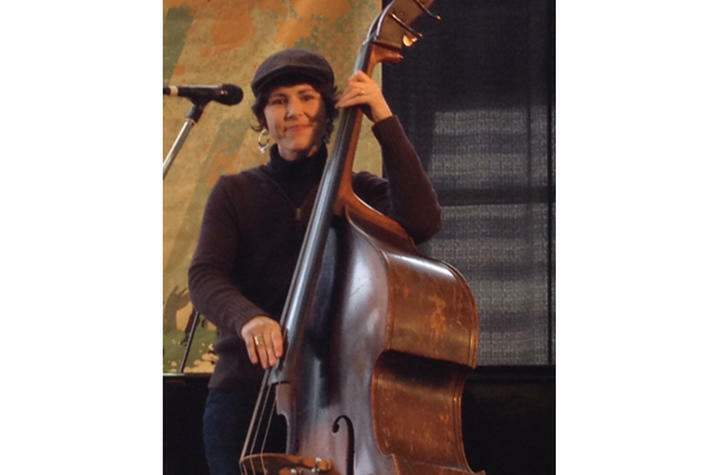 For Daphne, a well-known musician in her community, this music program made a world of difference. Daphne enjoyed the music therapy program so much so that upon her passing in 2013, her family knew she would want to give a gift to the program. The Scruggs family established a non-profit organization called Daphne’s Legacy, Inc., which supports research on triple negative breast cancer, including the work of researchers at Markey. The organization also recently donated a banjo to the Creative Arts Therapy program. The donated banjo has already become a popular instrument with patients. This gift is meaningful not only to the patients, but also to the Creative Arts staff. The Daphne’s Legacy 5K run/walk will take place Friday, April 12 at 6:30 p.m. at Lakeview Park in Frankfort, Ky. The following Saturday, April 13, the organization is hosting a concert and silent auction benefit at Investor’s Heritage Auditorium in Frankfort beginning at 6:30 p.m.
To learn more about these events and to donate to Daphne’s Legacy, visit daphneslegacy.com.